A graduate from RMIT University, Christina holds a Bachelor of Health Science and a Bachelor of Applied Science (Osteopathy). She enjoys working with patients of all ages and treating a range of acute and chronic conditions with a special interest in back and neck pain, postural issues, headaches/migraines, repetitive strain injuries and sporting injuries. Christina uses an array of hands on techniques and management strategies tailored to individuals’ needs. She has completed additional courses in myofascial dry needling, cupping, taping and radial shockwave therapy and incorporates those skills within her treatment. She takes great pride in seeing the positive effect osteopathy has on improving the health and wellbeing of her patients. 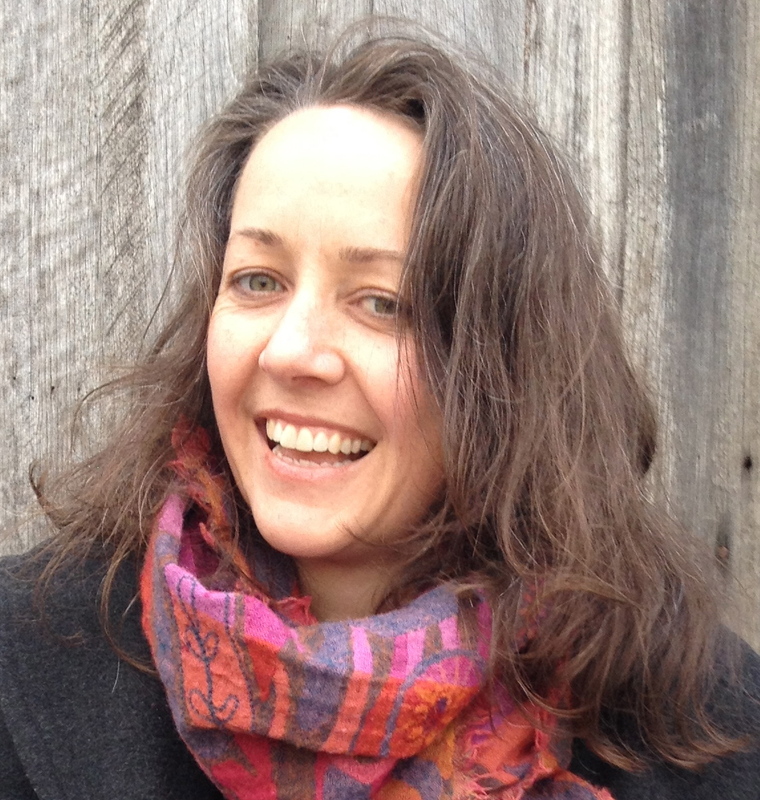 Christina is fully registered with the Australian Health Practitioner Regulation Agency (AHPRA) and is a member of Osteopathy Australia. Osteopathy is a form of manual therapy stemming from the theory that the body acts as holistic unit. As allied health professionals, Osteopaths recognise the important link between structure and function of the body and base their treatment towards allowing the body to heal itself. Through assessing the integrity of bones, joints, muscles, nerves, circulation, connective tissue, and internal organs, osteopaths base their examination, diagnosis and treatment not only on the presenting symptoms, but on further analysis of the underlying causes of pain for long lasting relief. In Australia, Osteopaths are government-registered practitioners who have completed a 5 year minimum accredited university training in anatomy, physiology, pathology, general healthcare diagnosis and osteopathic technique. Myofascial dry needling is a procedure that involves the insertion of a thin filament needled directly into myofascial trigger points within the muscle. It is an effective technique for the treatment of muscular pain and inflammatory conditions. It is used to promote blood flow and encourage the body’s natural self-healing mechanisms. Myofascial trigger points are hyperirritable nodules located within a taut band of muscle that are painful on palpation, can limit range of motion and can cause referral patterns distant from the original location. Myofascial cupping is extremely beneficial in promoting blood flow to areas that require healing throughout the body. It can assist in improving range of motion, eliminating trigger points and reducing fascial restrictions commonly caused by repetitive movement originating from sports or the workplace. By decreasing fascial adhesions it can contribute in diminishing the incidence of injury and maintaining musculoskeletal function. As myofascial cupping can take time, it is suggested to a book a 45-minute consultation in order to receive it maximum benefits. Concession rates are available for pensioners and health care cardholders and will be discounted $10 from the consultation rate. Private health rebates are accepted and can be claimed on the premises. Rebate will depend on your level of cover and private health fund. Ask your GP if you are eligible for a Chronic Disease Management plan, formerly known as an EPC plan (Enhanced Primary Care). Medicare rebates may be available to patients by a GP referral for a maximum of five osteopathic treatments partially covered by Medicare. The Osteopathic rebate is currently $52.95. Often rebates can be paid directly back into your account on the same day as payment. Pensioners and healthcare cardholders will be bulk billed. As this time is allocated especially for you, 24 hours notice is required for cancellations or a cancellation fee of $50 will apply. Christina will be available for appointments on Saturdays 8am-2pm. Phone: Contact reception Monday-Saturday 10am-3pm on 9482 1888. 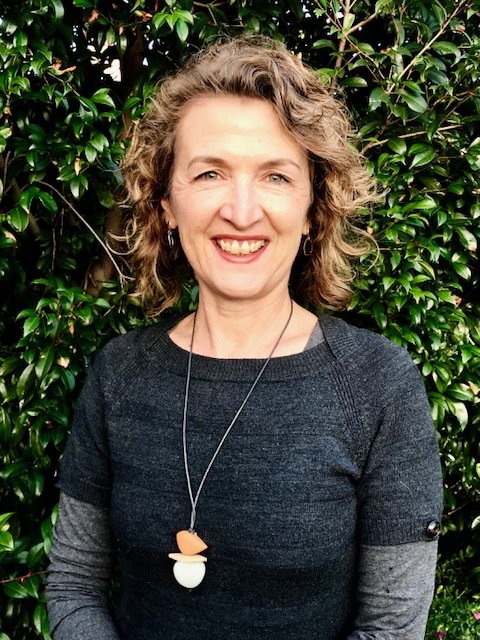 Angela McGrath is a Counselling Psychologist with over 20 years experience in a variety of settings including community mental health, youth services, medical centres, university counselling, primary schools and private practice. 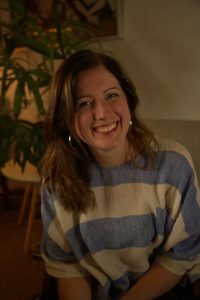 While having an extensive background in individual and relationship counselling, she has also delivered group programs in the areas of parenting, primary school mental health, transition to secondary school and mental health first aid. Angela enjoys working with individuals, couples, adolescents, children (5-12 years). Angela works with her clients with the aim of assisting the client to develop a clearer understanding of their issues, and build self confidence and resilience using practical, day to day strategies and skills which enhance emotional wellbeing. She believes that from time to time we can all be confronted with challenging life events, and working through these issues in a supportive and collaborative environment means that the client has the opportunity to develop their own understandings, solutions and strategies, leading to the development of a resilient sense of self and a life that is more fulfilling and meaningful. Angela uses a variety of therapeutic approaches including but not limited to cognitive behavioural therapy, mindfulness, solution focused, motivational interviewing and psychodynamic theory. Angela has a specialist qualification in relationship counselling. Relationship counselling offers the opportunity for couples to discuss their issues in a supportive and neutral environment. Couples can often get caught in habitual, unhelpful and sometimes detrimental patterns of relating to each other. Relationship counselling offers the opportunity for each member of the couple to consider their individual relational style and how this impacts on the way they communicate with each other, thus offering an opportunity to better understand themselves as a couple and address the challenges they may be experiencing. Angela also offers the unique opportunity to have a ‘walk and talk’ counselling session. This type of counselling can offer a different dynamic to sitting down face to face in a consulting room, potentially resulting in different perspectives and insights for the client, not to mention the added benefits that exercise and being outdoors have for our physical and emotional wellbeing. We often spend our days inside, sitting and working, and to have the opportunity to exercise and have a supporting counselling interaction at the same time may be a time saver in our sometimes hectic lives. The first session is conducted face to face so that we can meet and get a sense of what brings you to counselling. We can then make a decision if a ‘walk and talk” session/s would be appropriate for you. The finer details of the ‘walk and talk’ e.g. where, for how long and issues of confidentiality if we happen to bump into someone you know would also be considered and discussed. Please feel free to contact Angela directly for further details. Or contact The Hartington Centre on (03) 9489 1888. My name is Katherine Bakos and I am a clinical psychologist and consultant. I also provide reflective practice SuperVision to a range of professionals including; psychologists, youth workers, social workers, mental health workers, drug and alcohol and social and emotional wellbeing workers. I approach my work with clients in a holistic manner taking into account people’s mental, emotional, physical and social well-being. I am committed to encouraging self-determination through a process of supporting people to identify and define issues, explore options and solutions, build skills, make decisions and take action. I also respect and am mindful that each person needs to go at their own pace in the process of making self-enhancing decisions. My thought is that as human beings we all get stuck at times. Stuck in emotions, relationships, thinking patterns, situations of all sorts. When we get stuck we tend to go over and over the same thoughts in our minds and develop a rather tunnel vision of where we are at. I see my role to support you to get a bigger picture of the situation you are in so that you are able to see all of your options and make a better decision for yourself in terms of a way forward and getting unstuck. Sometimes the particular life skill you might need is not your strong point so developing up that skill is really important in building your confidence to better manage your situation. I have over 30 years’ experience as a therapist and know the privilege of having people share their story with me. I work with people from a wide range of cultural backgrounds and a wide age range. I have trained in a number of therapeutic approaches including; Narrative therapy, Cognitive Behaviour therapy, Solution Focused therapy, Interpersonal therapy, Acceptance and Commitment therapy and NLP. Specialising in reducing the symptoms of stress, anxiety and depression, through empowering you in your life and relationships. Do you struggle with a feeling that you are not good enough? Do you find it hard to relax and go with the flow of life? Do you suffer with anxiety or a feeling of not being able to keep up? Do you feel stuck in depression or a consistent feeling of being weighed down and not being able to make a difference to your life? Are you filled with a sense of regret or lost opportunity? Do you ask yourself if there is more to life than what you are experiencing? Do you struggle to express your feelings and needs to others? Is it difficult to ask for what you want? These are some of the many reasons why people come to counselling. Each counselling session is an opportunity to give to yourself. It’s like filling your cup and when it flows over the top it goes out into your life and your relationships. Change that lasts becomes the natural flow on effect of questing to know yourself and learning how best to live true to your own heart. There is no need for you to apply force or discipline. Rather kindness, compassion and patience. In counselling you are coming into relationship with yourself. You are journeying with Allison as your companion and witness, into your feeling world. You are learning to feel. You are learning to release difficult emotions, safely, compassionately and without being overwhelmed by them in the process. You are learning that your true sense of strength and personal power comes from relating closely to this inner world. You discover you have all the resources, wisdom and guidance you need within. As you connect deeply within so to do you form deeper and more enriching connections to others and all of life. Gratitude for the precious gift of your life then comes. You begin to feel yourself as whole, completely worthy of good and you begin to flourish. Here is the opportunity to make all this possible for you. Allison offers a calm and supportive environment where you are invited to freely explore and playfully create a loving connection to your true Self. Releasing and resolving difficult emotions such as shame, anger, grief and sadness allow more enjoyable and lighter emotions to flow. Calmness, Ease, Authenticity, Relaxation, Self-compassion, Gentleness, Connection, Resilience, Playfulness, Peace, Self-love, Self-care, Self-nurture, Self-acceptance, Self-forgiveness, Protection, Safety, Gratitude, Healing, Clarity, Joy! There is room for all of this and more in the counselling space! Therapeutic process or mindfulness is an experiential approach that puts you in touch with your deeper wisdom and helps you to embody change. It allows your mind to rest whilst you make connection to what is present and alive in you now. It develops an awareness and relationship to other helpful aspects within you. When you require a fresh outlook on life or the resolution of problems that you are facing, the best place to look is inside, into your feeling world and the sensations in your body. With Allison as your companion you are guided to access this feeling world through a process known as Focusing. You soon learn that it is safe to go within. Allison also works with Flower Essences, which are a form of energy medicine used to help balance your emotions, thoughts and feelings. Made from the energetic imprint of flowers, remedies taste like diluted brandy and are taken as drops under the tongue. Also available within your session: Emotional Freedom Technique (EFT) is a ‘hands on’ technique that embraces the ancient wisdom of the meridian system. It involves tapping on specific body points in a sequence, whilst repeating a phrase that helps release unhelpful emotions and allows regenerative energy and good feelings to flow. My background is in Social Work, Psychology, Family Therapy and Organisational Management. I have 15 years experience working with children, young people, adults and their families on assisting them to achieve their goals in life and find solutions to tricky life dilemmas. I have worked at both the Royal Children’s Hospital Mental Health Service & Austin Child and Adolescent Mental Health Service (CAMHS). I offer individual, parent and/or family sessions, sometimes called counseling, psychotherapy and coaching for matters that are important to them. Sometimes we are faced with tricky dilemmas that affect our lives. Seeking additional support can be helpful in exploring barriers and finding solutions that work for you. I also offer specialist mental health assessment and therapy for children and young people who may be battling with difficulties such as anxiety, depression and substance use. I work with parents to support them with regards to their children and provide practical strategies and tools that work. Finally, I offer family therapy where difficulties such as family conflict, shared parenting and communication might be an issue. I provide professional supervision to professionals, coaching and organisational consulting to companies who may wish to evaluate their practices and achieve desired outcomes and improve staff morale and retention. The fee for counseling and coaching is $120 per hour. You may be entitled to a rebate through Medicare or your Medicare Local by obtaining a referral from your GP. The fee for professional supervision, professional coaching and organisational consulting is $150 per hour. You may be able to claim this cost as a tax deduction. Elizabeth Hawksley is a qualified Matrix Re-imprinting Practitioner and Emotional Freedom Technique (EFT) specialist whose main interests are mental and physical trauma, PTSD, stress, anxiety, pain and behavioral disorders. Elizabeth Hawksley holds a Masters in Ancient History and Archaeology. It was during this period of time studying ancient cultures and society that she became interested in ancient medicines and energy healing. It was through an accident that led her onto the path of becoming a Reiki Master for the last 8 years. It was this catalyst that encouraged her to move in to the world of natural and holistic therapy in order to help others through their own past traumas and experiences, so that they are able to find a way to create a more positive future. To show her clients that our pasts do not have to define who we are and that we can change the way we think and the decisions that make in our day-to-day living and wellbeing for a more positive future. Quantum Connection is program developed, which is a blend of energy healing and somatic experiencing that utilizes the latest in Kinesiology, EFT and MR, as well as working with those traumatic emotional blocks that disrupts the body’s natural equilibrium that prevents you from moving forwards with your life. The Quantum Connection helps you to gain access to the core issues that are behind those negative behavior patterns and habits that keep you feeling angry, frustrated and trapped. Elizabeth uses these specialized techniques to help empower you, as well as bring you relief and resolution to past and current issues. QC will help you to gain back control in your life, help you to reconnect to the present and provide you with the confidence to be stronger, happier and free of those traumas that are holding you back. This is an exciting modality that is massively effective and often shows startling results. It is used in conjunction with EFT and works by going back to the source of the original trauma and creates a more positive resolution. Works on current and previous traumas helping to eliminate stress, pain and anger associated with these issues bringing back peace and harmony and vitality into your life. This uses bio-feedback through muscle testing, it enables the client to access any physical and mental traumas that maybe preventing them from moving forward in life. It can also be good way to remove any self-sabotaging behavioral patterns. During these sessions Elizabeth will be able to provide you with the necessary tools, which will benefit you during times of stress and anxiety in your daily life and provide you with comfort and calm through times of trouble. These tools are safe, simple and gentle and can benefit people of all ages. Learn how you can tap for today in order to create a more positive and happier future today. 24 Hartington Street, Northcote on 9482 1888. Joan Shotade, MAPS. Joan is a registered psychologist who has specialist endorsement in counselling psychology. She values working collaboratively with people to develop their potential; challenging them to broaden their ideas and self-limiting beliefs, and to learn with and from them. Of particular interest is the exploration of issues that contribute to anxiety and depression and managing these to achieve goals that are personally meaningful to the individual. Joan believes that the effectiveness of the therapeutic relationship relies on deep respect for the individual, authenticity and sincere caring- these qualities are the foundation of her practice. Joan has had many years of experience in individual psychotherapy and counselling for youth and adults. She has worked in university and tertiary counselling services, mental and community health settings, crisis counselling services, with Anxiety Disorders Association of Victoria and in private practice. Private practices are located in Box Hill and Northcote. Joan has professional interests and training in Buddhist Psychotherapy, Acceptance and Commitment Therapy, Mindfulness-based Cognitive Therapy, Interpersonal Therapy and Process Experiential Emotion Focused Therapy (PEEFT). Fees charged by Joan are considerably less than those recommended in the Australian Psychological Society (APS) ‘Recommended Schedule of Fees’. Rates vary in accordance with services required and financial assistance may be available through some government programs where eligible. 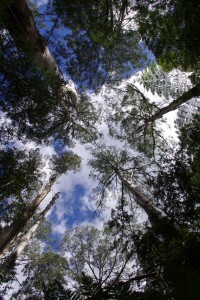 General Counselling: Medicare rebate available with GP referral (mental health treatment plan). Gap payment is approx $46 for a 50 minute session. Carer’s Counselling: up to 6 free sessions in any one year, with referral from Carers Victoria: 1800 242 636. Private Health: check with your private health fund to see if your ‘extras cover’ includes psychological services. Day and evening appointments available. Hourly sessions (50 mins). Mandala making is a creative process that uses colours , shapes and designs to promote insight and personal growth. By gently tapping into our true self by drawing and colouring, we gain a sense of calm from which clarity, awareness and fresh perspectives can arise. About Me: I am a psychotherapist with over 20 years experience in supporting people’s growth and healing. 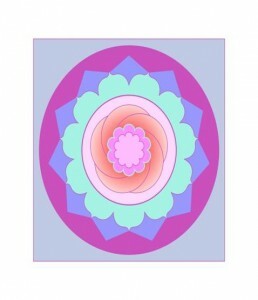 I use a wealth of skills including counselling, theta healing and mandala art therapy. I am a Social Worker with twenty years experience working with individuals, couples and families. I have specialised training in couple therapy and emotion focused therapy and mandala art therapy. I use a combination of Systems Theory (how various situational factors in one’s life impact them and their relationships), psychodynamic and relational approaches and solution focused therapy. I am a gentle, compassionate and wise practitioner who fosters hope and optimism in my work with clients. I am particularly interested in the emotions and beliefs we hold that get us stuck in unhelpful patterns of relating. I believe that by becoming aware of these unhelpful patterns and gently witnessing our experience, we can begin to choose to feel and relate differently with ourselves and in our relationships. I am available on Wednesdays 1pm-8pm and every second Saturday. Sessions are $130 per hour for individuals and $140 for couples. I am an Accredited Mental Heath Social Worker and Member of the AASW. Hence rebates are applicable with a GP referral.